Sectional view of Liverpool Gas Works, 1860. 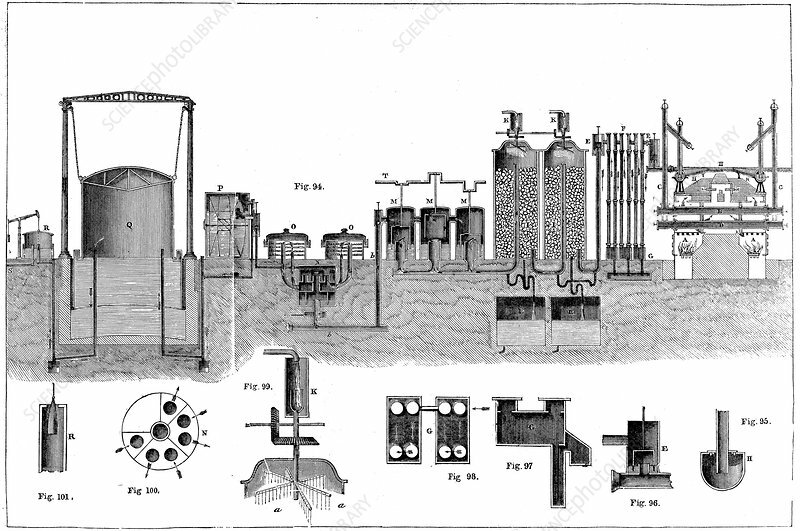 Where, according to Muspratt, the purest gas in the kingdom is produced. From Sheridan Muspratt Chemistry, London, 1860. Artist: Charles Partington.